Now that WhatsApp has outlasted other chat services, it’s risen as one of the best messaging services with probably the biggest user base. The only constraint amid seamlessly enjoying its features is the capping over videos. If you could send large videos on WhatsApp from iPhone, you may undoubtedly achieve the apex of this App. WhatsApp keeps a cap of 16MB for video files to keep the network intact, which used to be only 12 MB prior to this. However, you may still send big videos over WhatsApp from iPhone by following a few tips. How to send big videos from iPhone on WhatsApp with compressor? If you are using an iPhone and wish to send videos over WhatsApp that are larger than the 16MB cap, you may follow the below steps. Download and install any Video Compressor app from the App Store. Launch the Video Compressor app on your iPhone and select the video that you wish to send on WhatsApp. Now, you can select the range of the video file size by sliding the ‘Target Size’ button to increase or decrease. It is important that you select a range that is below 16MB for the video to be sent on WhatsApp. Now, click on convert/save and wait till the app compresses your video to the desired file size. Then, launch WhatsApp on your iPhone and select the contact you wish to share the video with. Click on the ‘Attachment’ icon and choose the compressed video by going into ‘Photo & Video Library’. Now, you could see that WhatsApp would be able to send the complete video as the video file size is dropped to its permissible limit. Click on ‘Send’ button and you are done. How to send big videos from iPhone on WhatsApp with Files app? Send the specific video to the Files app by clicking on ‘Photos’ icon on the main menu page of your iPhone. Select the video and click on the ‘Share’ icon to avail the options associated with that video. Now, click on “Save to Files“ and find a folder under the ‘iCloud Drive’ drop down to save the video. This way, your video file has been moved from Photos app to a specific File. Then, launch the WhatsApp app and select the recipient to whom you wish to send the video. Click on the attachment icon and choose ‘Document’. Now, click on ‘Browse’ to open the File Explorer and find the folder into which you’ve saved the video. Select the video and tap on ‘Send’ from the top. The video will be sent as a document. Taking everything into account, it appears that you can overlook the WhatsApp capping for video files and share handful of videos by following the above steps. While deploying a video compressor, it is important that you download the app from the App Store and not from a third party. 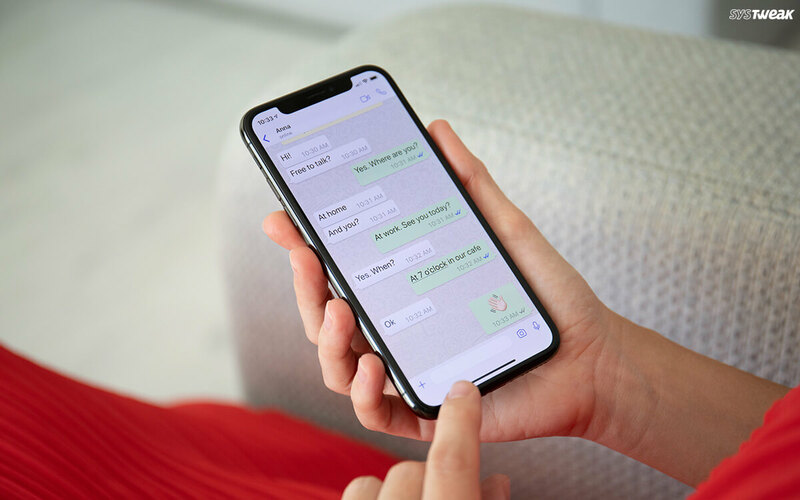 Now that you know how to send large videos on WhatsApp from iPhone, it is time to get your head around it and amaze your friends. In case you wish to share some tricks related to WhatsApp, do leave a comment below.